We love avocados. Just add some salt and you’ve got lunch! 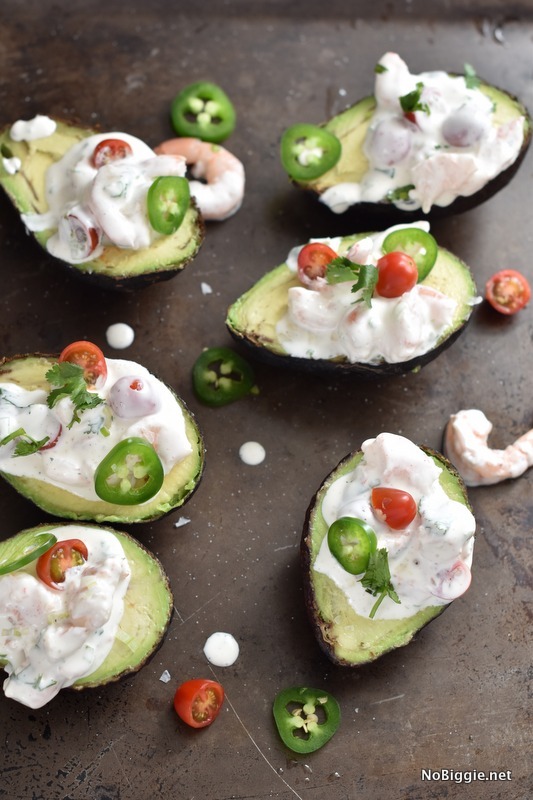 We’re taking the avocado up a few notches today by stuffing them with spicy citrus shrimp. 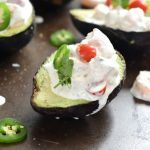 It’s sort of like a shrimp salad sandwich without the carbs, and just the healthy fat of the avocado. I can’t wait to make these again…the best part is that they’re super easy to whip up! In small bowl, whisk together: mayonnaise, sour cream, salt, lemon juice, grapefruit juice and sliced onion. In large bowl, toss shrimp, tomatoes, sliced chiles in the dressing mixture. Refrigerate 20 minutes or up to 2 hours. 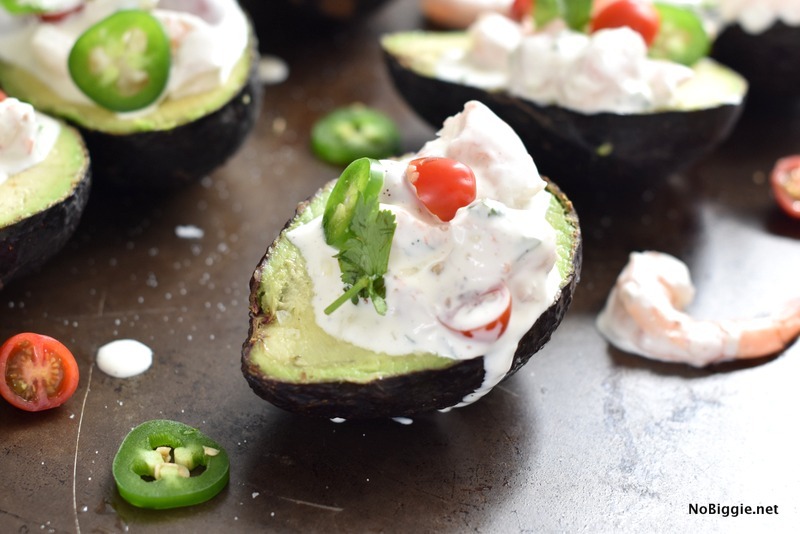 To serve, spoon shrimp mixture into avocado halves. Top with more sliced jalapenos and sliced grape tomatoes. Season with more salt and pepper (if desired) and chopped cilantro. 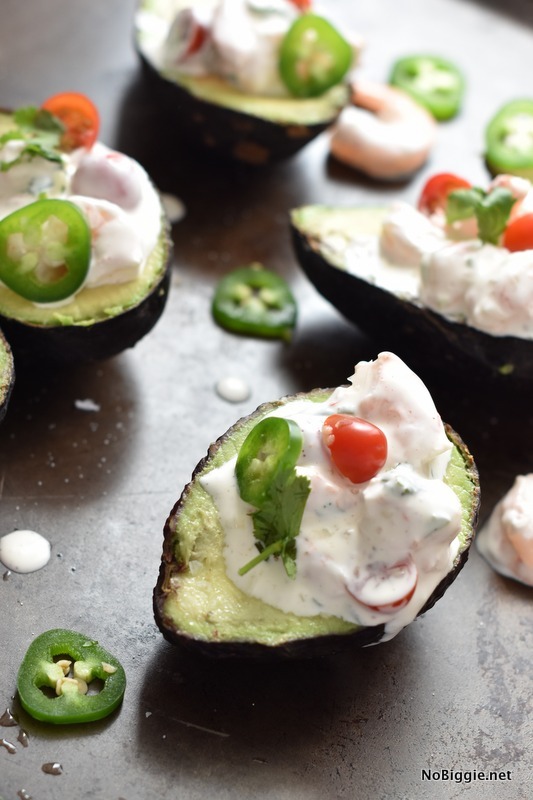 If you’re crazy about avocados too, you’ll love this list of 25+ Avocado Recipes. What’s your favorite avocado recipe? You can’t go wrong with straight up avocado toast!